It's done!! 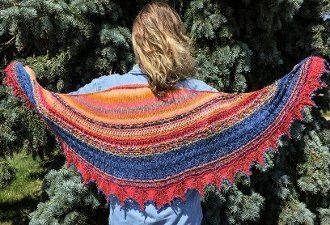 Our August Facets of Michigan Shawl, The Changeling, is a gypsy/boho creation to celebrate the many fairs and festivals in Northern Michigan in August! This shawl kit will come with all of the yarn you need, the beads and of course, the pattern. Stop by the shop and get yours, or order online, now! Only at North Woods Knit & Purl in West Branch, MI!